Apropos nothing in particular, two products I've recently discovered and greatly enjoyed. 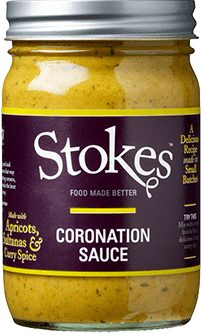 Stokes Coronation Sauce - I paid £2:50 for a 360gm jar in a Garden Centre shop at the end of December. I used about a third of the jar stirred into some chunks of chopped cooked chicken and served with a salad and bread for a light lunch.The same again filled two jacket potatoes - and I chopped what was leftover a little more finely to fill sandwiches the next day. I still have one third of the jar remaining in the fridge. 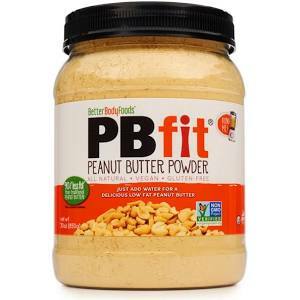 Liz and Steph both recommended this Peanut Butter powder. It was on offer, £3ish in Aldi/Lidl [one or t'other, I can't remember] It is currently £4 for 225gm in Sainsbury's. It makes an easy satay sauce, and with some oats, banana, milk and yogurt, it whizzes up to make a lively smoothie. However, it doesn't make up into regular peanut butter very well, IMHO, it's an ingredient, not a spread for your toast. **I have yet to taste a Stokes product which I have not enjoyed - but prices vary enormously from store to store. They are really rich in flavour so I don't need much, which makes them more economical. I watch out for bogofs in Waitrose and Sainsbury's. 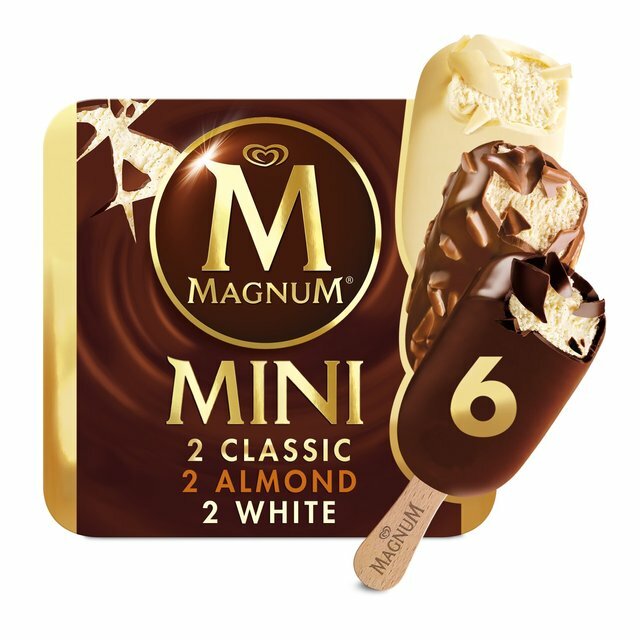 Unilever announced this week that they are stockpiling Magnums ahead of Brexit. I don't eat ice creams at this time of year. Steph's just won vouchers for a year's supply of Breyers Ice cream, clever girl! The best sauce I've eaten this week was some homemade mango chutney. Liz got a bowlful of fruit very cheaply from East Street Market SE17, and it was delicious. Rosie loves it and refers to it as mango chupney so that is what Bob and I now call it too. I, too, am a great fan of Stokes Sauces and especially love their Sticky Pickle in cheese sandwiches! I've not come across Sticky Pickle. I shall look out for that. I love chutneys & relishes and try to pick up some interesting sauces now and again. You seem to get a nicer variety though in the UK. We do seem to have an amazing range of preserves here in the UK. If it grows, we pickle it! How did she win the Ice-cream supply??? Does she get it all in one go or a bit a month? Makes me think of Willy Wonka! 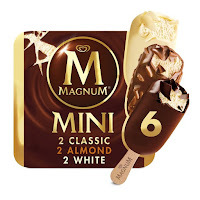 I've not tried either of the products you mentioned (aside from the Magnums)! I think it was an onli e competition. She is expecting to get a book of vouchers - which she's generously offered to share with the family. Rosie is too cute and has very good tastes! Mango chutney is one of my favorites! When I was Rosie's age, I knew nothing about mango chutney. But there was a product called PanYan Pickle which I was very fond of in my childhood.